Year of image identified based on playing dates of various players identified in the photo. 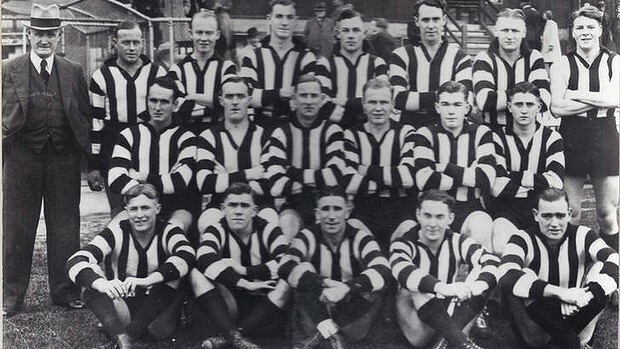 The identified players only played together in one game in 1941. The identification of Kevin Sullivan by a family member confirmed that is photo was taken in round 7 rather than round 8.